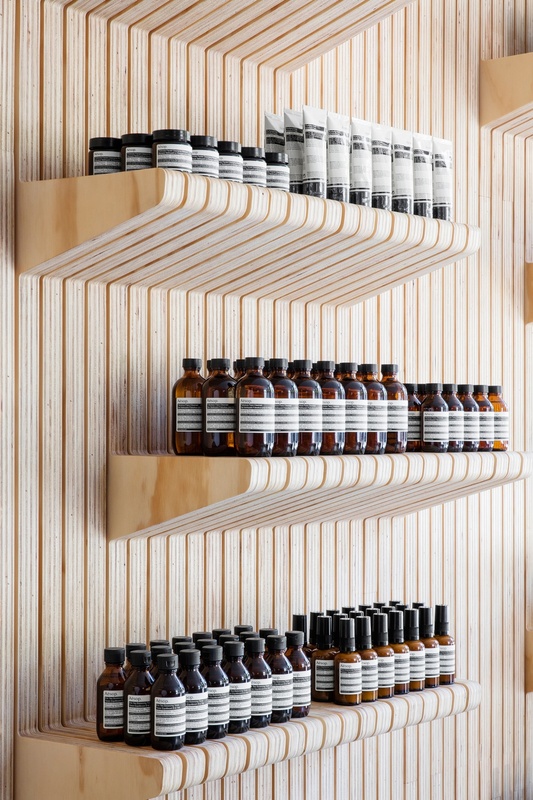 aesop recently announced the opening of a new signature store on Columbus Avenue on Manhattan’s Upper West Side. 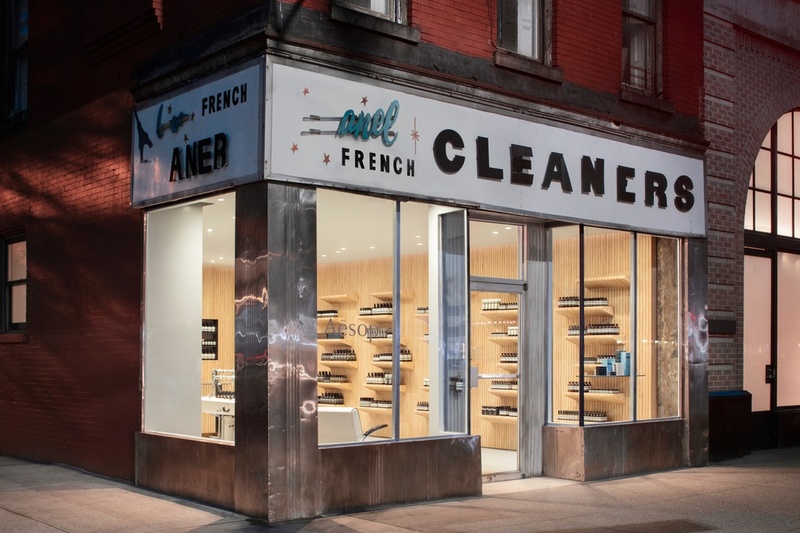 designed in partnership with Tacklebox under the leadership of Jeremy Barbour, this space marks the sixth collaboration with the New York-based studio and a new evolution in a long-term creative association. 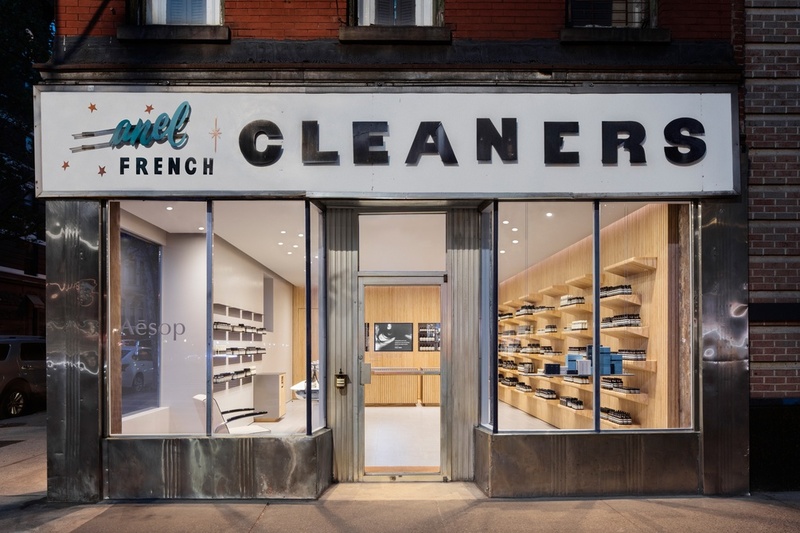 we began by preserving the façade and iconic graphic signage of the previous tenant, Anel French Cleaners – a family-run dry cleaner and landmark in the neighborhood. 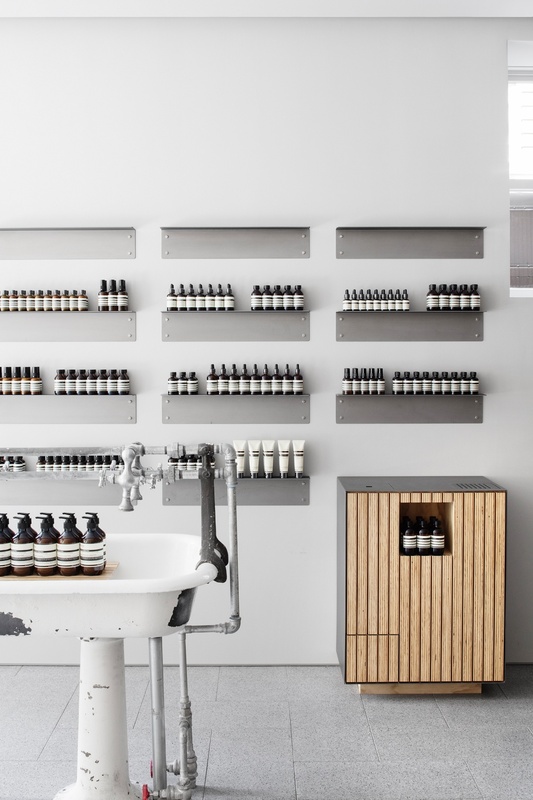 Having made the choice to retire, Anel’s owners hand-picked Aesop to reimagine their space. 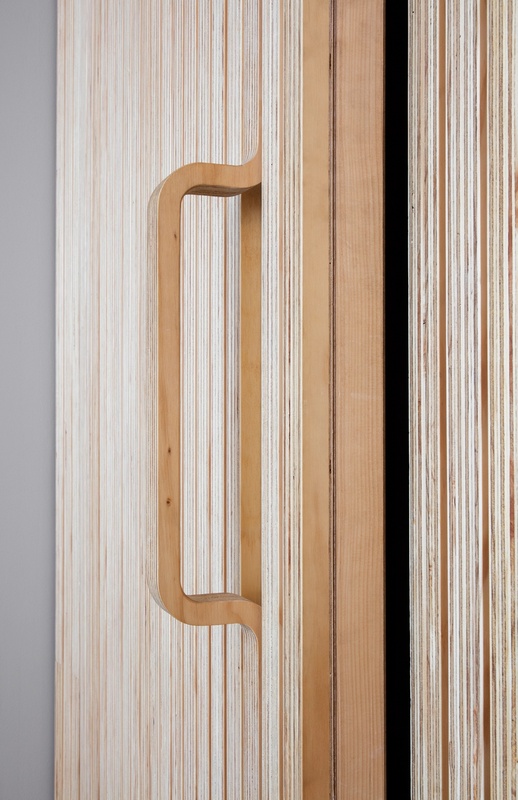 complementing the exterior conservation, the design for the 700 square foot interior speaks sensitively to the heritage of its predecessor through materiality, form, and color. uniformly dressed in milled pine plywood, clean-lined wall and counter surfaces pair with grey-toned terrazzo tiling in a utilitarian palette of neutral tones. 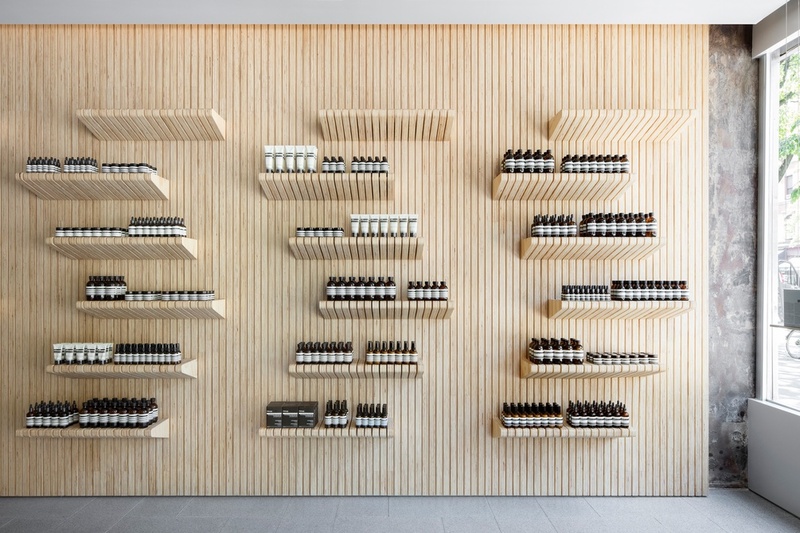 shelving in the same timber assumes the form of upturned coat hangers – a subtle gesture referencing the former life of the building. 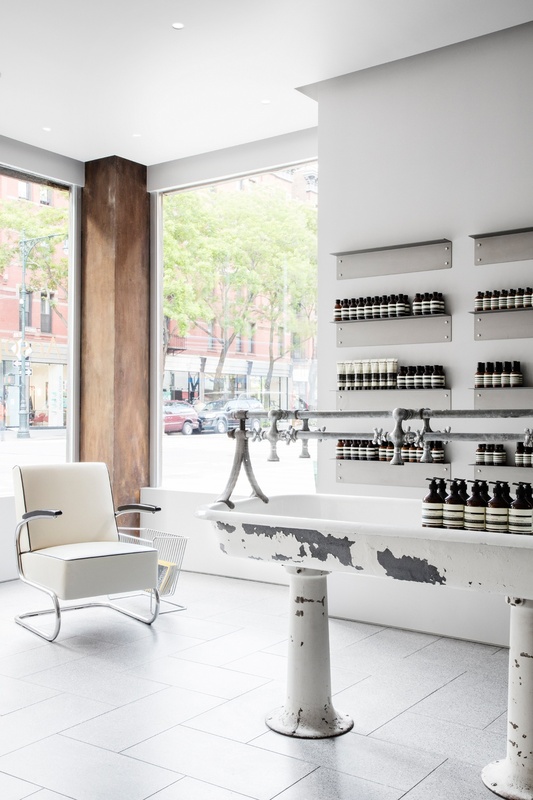 nodding to trusted communal establishments such as the barbershop, salon and laundry, Aesop Upper West Side safeguards the residential tradition of interstitial sites where public meets private. Extending the legacy of Anel, it offers a fresh space for the ritual of personal maintenance, restoration, and renewal.